The Famicase Exhibition online gallery is finally live! Here are some of my favorite labels and most interesting game ideas. I could have easily posted and written about 15 of my favorites, but I decided to limit myself to four. Make sure to check out the exhibition gallery to see everyone else’s work. Mix and match body parts to create an endless variety of monsters! 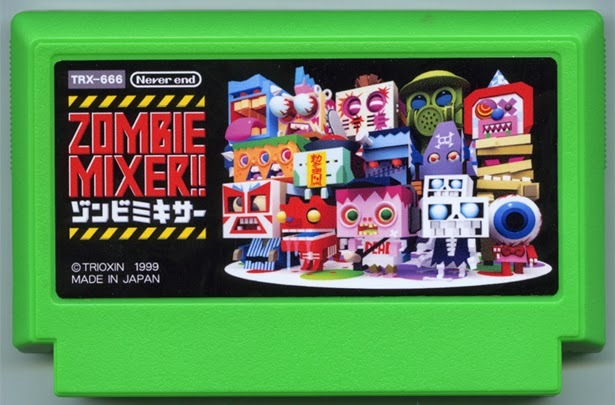 Everything about this one is wonderful—great logo, excellent 3d models (I think that’s a first for Famicase! 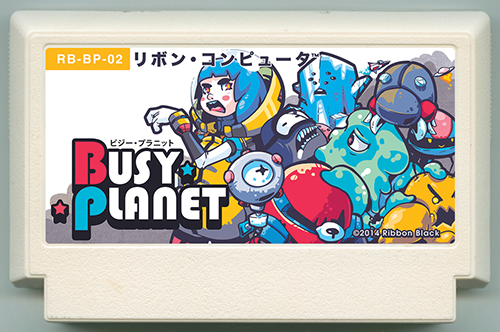 ), even the cartridge color choice is spot on. Another Mountain Graphics piece was chosen as a favorite last year as well. "Morals are for the weak and beakless in this zero-dungeon non-action RPG. Naive country folk will love you … unless you get caught! Line your nest with only the best necklaces and bangles in this gluttonous and glittery modern adventure story." 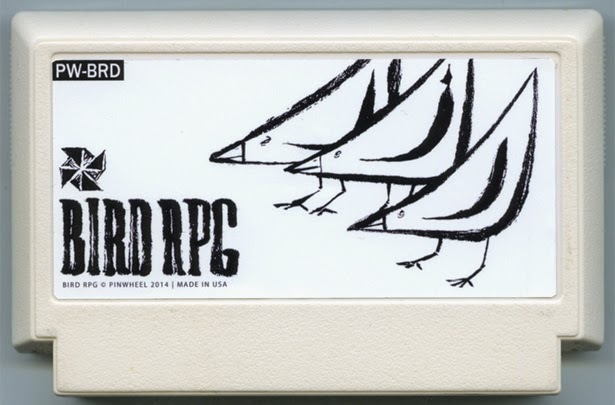 This might be the first morally ambiguous bird-based video game. The stark and minimal label art looks super distinctive! Paired with the premise and the funny/surreal drawing style, it really makes you wonder what the game would look and play like. Great idea and execution. "How are you doing? Six months have passed since I moved here." Wonderful simplicity here. 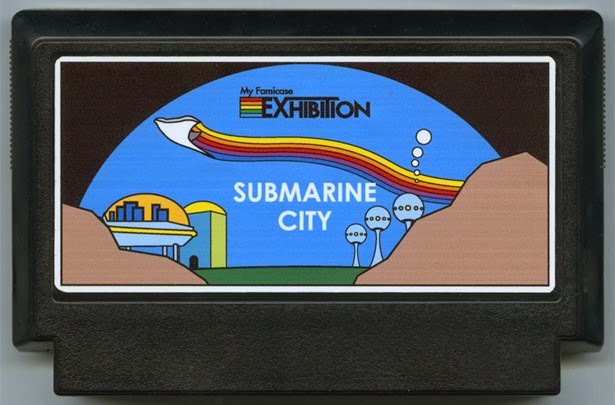 The premise of the game (life in an underwater city) is compelling enough, but the way the artist referenced Activision’s classic Atari cover art with the text treatment and rainbow motif is very interesting to see, particularly from a Japanese artist…were Japanese gamers exposed to the Activision style back then too? 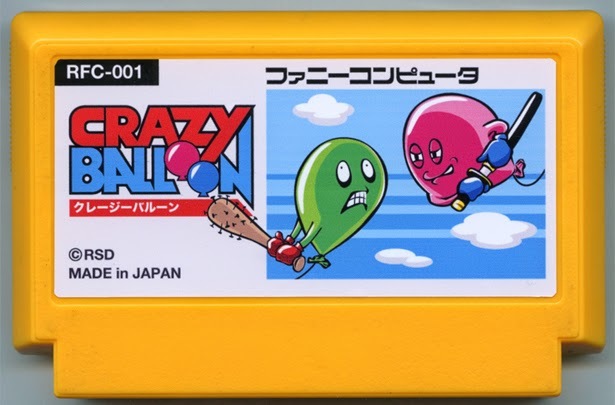 It’s great when cartridge art perfectly sums up what you’re in for right away—Crazy Balloon looks like a one-hit-kill deathmatch game in the vein of Samurai Gunn or an aerial Bushido Blade. Simple and brilliant! Of course, this is speculation as the game’s description is in Japanese. It additionally mentions usage of the Famicom’s built in microphone, probably for blowing up or moving the balloons. Very clever! 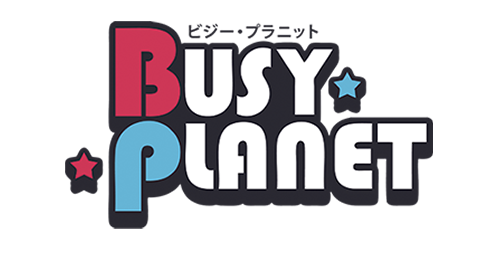 The logo design is wonderful as well and the vibrant cartridge color choice makes the rest of the design pop.